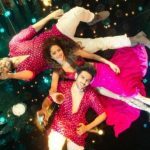 After an excellent opening week, filmmaker Luv Ranjan’s latest offering Sonu Ke Titu Ki Sweety has entered in the second week at a strong pace. 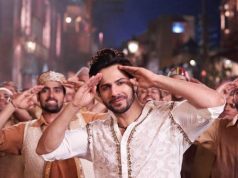 Despite two new releases and the Holi festival, the movie remained steady on its second Friday and crossed the mark of 50 crores at the Indian box office. The Hindi comedy Sonu Ke Titu Ki Sweety is based on a story of bromance vs romance and has brought the Pyaar Ka Punchnama 2 gang back together. Because of an interesting storyline and mind-blowing performances by Kartik Aaryan, Nushrat Bharucha, and Sunny Singh, it got succeed to entertain the audience. 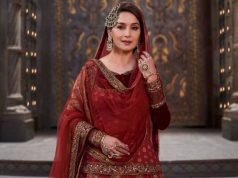 On the opening day, this Luv Films and T-Series Films’ collaboration opened to a solid note and picked up very well over the weekend due to positive word of mouth. 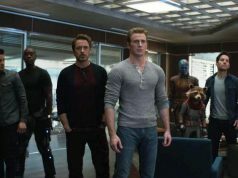 By remaining strong throughout, it did the business of 45.94 crores in the first week that included 26.57 crores of the weekend and 19.37 crores of weekdays. Within a week of release, Sonu Ke Titu Ki Sweety has become hit and heading to achieve more height. Now the movie has entered in its second week and still has a strong hold over the audience. On 2nd Friday, due to Holi it opened on a slow note but witnessed a good jump over the evening and night shows. On its 8th-day, Luv Ranjan’s directorial recorded a jump of 20% than the previous day and garnered the business of 5.83 crores. With this, the total collection of SKTKS after 8 days, has become 51.77 crores at the domestic box office, which is better than the new ones- Pari and Veerey Ki Wedding.